Fire your cable company! FreeAir.tv brings you a new way to watch, pause, and record Live TV with CloudAntenna OTA DVR that works with ATSC over-the-air broadcast in the United States and around the world with DVB-T/DVB-T2/Satellite signals. Paired with a 4G LTE MiFi Router, it gives you FREE Internet at 4G speeds. Today, you can get an HD antenna, connect it to your TV and watch live programs for free. The CloudAntenna is the next generation! It is an Antenna, powered by Android TV, combined with the FreeAir Cloud TV and Cloud DVR services, so you can watch, pause and record live TV channels locally or into the cloud. The CloudAntenna perfectly integrates into our lives with Google Play services and Cloud DVR. FreeAir.tv Artificial Intelligence (AI) understands and predicts what you want to watch, saving you time and energy, and making your life easier. It is the future of how we will watch TV. CloudAntenna and MiFi 4G LTE Router devices are now available for lease or purchase as little as $4.99 per month on FreeAir.tv website at www.freeair.tv. Easy to setup. Your CloudAntenna simply connects to your existing network and HD or satellite antenna. No cable wiring or IT degree required, scan your channels and start watching. Watch it anytime, anywhere. Just open the FreeAir application on your smart tv, media player, computer, and mobile device. Start watching your favorite shows, at home, in your office, on vacation, anywhere you go. More money in your pocket. Your cable TV or internet bill? Gone in 60 seconds! And when you add the FreeAir 4G LTE MiFi router, the Internet goes where you are, at 4G speeds, take your show on the road trip, to the beach, or into your back yard. When you watch commercials, FreeAir will share 50% of its revenues so your Internet connectivity might be free. The next call you make is to fire cable provider. FreeAir.tv is your FREE alternative to watch TV and browse the Internet. Start saving money with FreeAir.tv. Stop paying for TV you never watch. With FreeAir.tv you get a wide selection of top channels and it’s FREE. 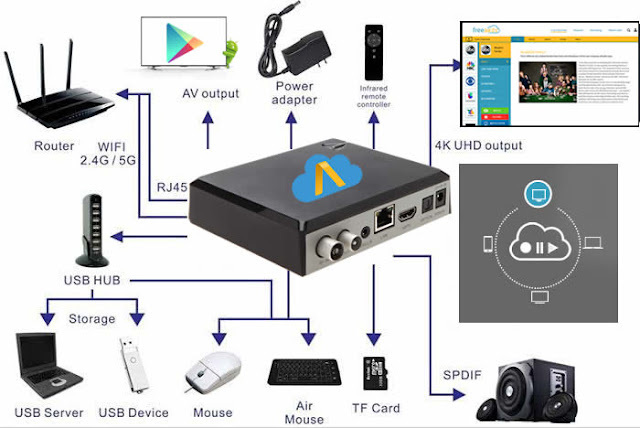 Simply connect CloudAntenna OTA DVR to FreeAir.tv cloud services. And with 4G LTE MiFi router, the Internet and your TV go where you are, at 4G speeds, at home, in the car, or take it on vacation. Join TV Rebels at www.freeair.tv and fire your TV provider. This article is very nice as well as very informative. I have known very important things over here. I want to thank you for this informative read. I really appreciate sharing this great. View at essay writing help page if you are interesting on online essay services. Many cable company's doesn't offer much services like, you can pause and record live programs. I think cloud nine can make changes in the market. Thanks for sharing the information . I have replaced my old set top box with HDTV, as it helps getting better audio-video quality, and we enjoy watching our favourite television channels with greater clarity. Thank you for the information. I am using a cable that does not provide a good service. Having read your article i will switch to a better one . I had once been a customer of fully trained DSTV installers in Pretoria and it was a pleasure to know that they are now available in City Centre as well. It means that I can call the same service provider after shifting into a new home in City Centre. Thank you for providing the description regarding the current models of TV. It is the basic requirement for every home. If we understand the features of all the models then we can analyze that which will be suitable according to our requirements. Thank you for providing the technical specifications of all the models. It is good to read this post. If you are looking for some technical information then you can visit at http://essaywritingexpert-usa.tumblr.com/.